I'll have to write up a post with my notes because I will be making more. I used Joann Fabric's "picture", but have my own "instructions for dummies". other finishes . 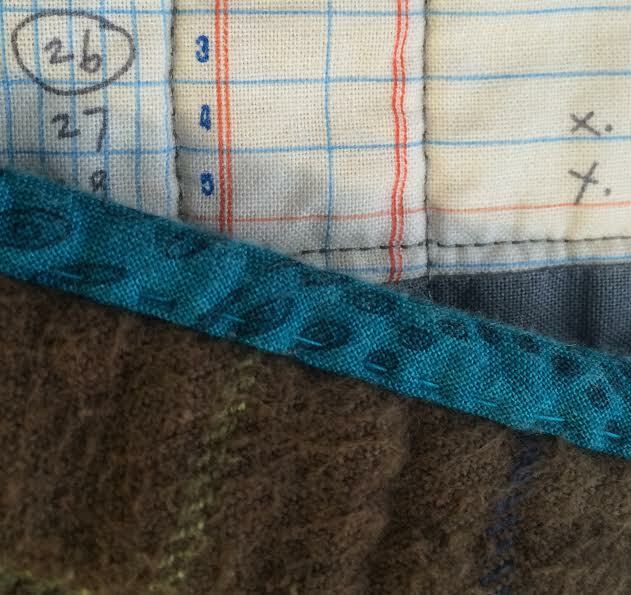 . .
Vintage Stamp baby quilt has been bound. Backed with "satin backed flannel" and it's preferred soft cool touch. more pillows . . . This time, I decided to be a responsible adult, and make the kind with an open flap on the back for easy washing. 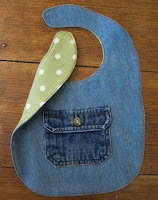 and one more apron, which I will also be posting some notes on for my own future reference, I still have a few tweeks. This will be a nice basic apron. There are no bells and whistles (I will add a small size iphone pocket on the side), it's very light weight. No metal adjustor on the neck strap to weigh me down. I already have the A/C cranked down to the freezing point in my house in Texas in the summer all year, and the thought of a heavy apron over my clothes, is already making me sweat. Thanks Emily for being my model . . . I've discovered a new way to keep my sewing room tidy . . . give aways! here we have 1/2 yd of LUcy's CRab SHack by Sweetwater. 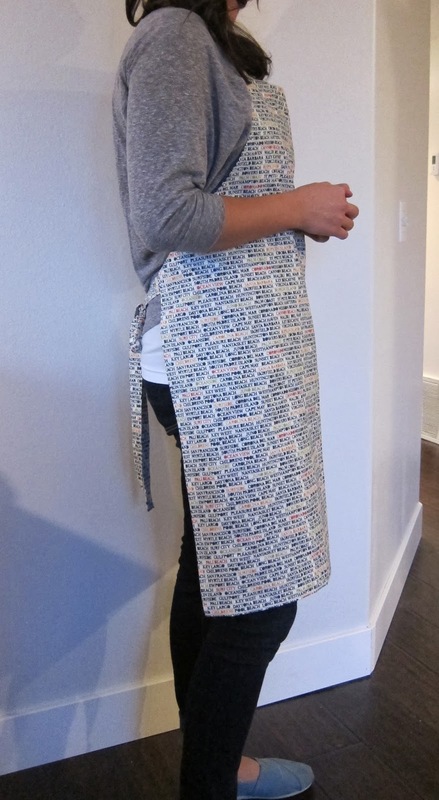 I'm trying to find the "perfect apron". Leave me a comment about your perfect apron and I'll put you in the pool. I love the aprons! 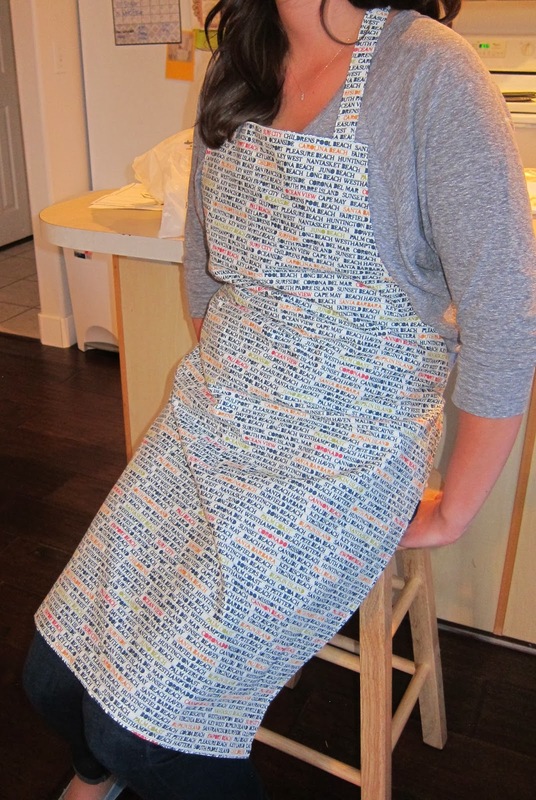 Sorry, I don't have a go-to pattern, but all my aprons have to have the top half. I've never understood those little half aprons...all my messes seem to end up on my shirt, so that's what I need to protect most! My perfect apron is like the second one in your post. Simple and basic. I do like making the fun, ruffly ones for my daughter though. I always forget to put aprons on but if I wore them they would be like yours! Your baby stamp quilt looks very snuggly. 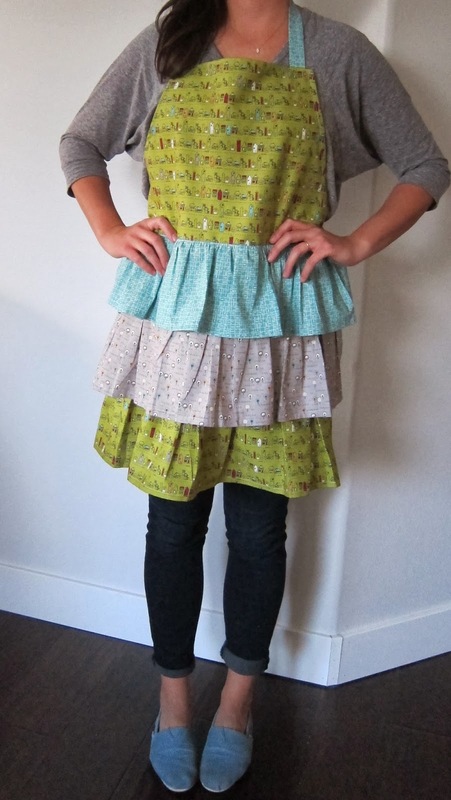 Okay, that ruffly apron is adorable! My perfect apron will probably include ruffles. 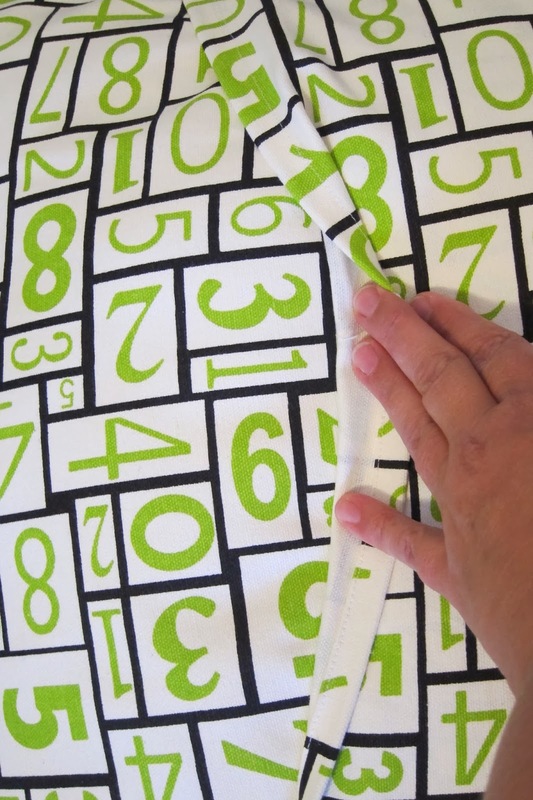 And the numbers pillow - so simple, but so cute. I love it. I've made several from here, and have loved them all! 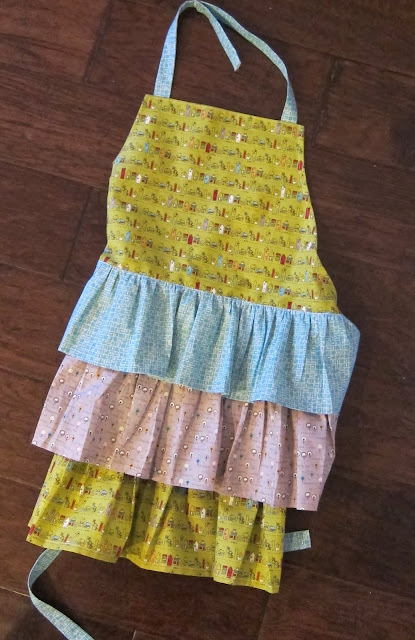 I've never written up the pattern but my favorite apron is one I made using a charm pack. I cut the charm pack into tumblers and sewed it together. It acts like a basic apron, but has a little more funand is finished off with a cute ruffle at the bottom. My favourite apron would be made from Lucy's Crab Shack fabric!! I love your basic apron and I wear a similar one - I like to have long ties which secure at the front and several pockets! My favorite apron would have a retro vibe, a waist band, gathers at the waist and a bib that was proportional to my torso. Some are too narrow or too wide. Yours look great! Texas weather is no fun. I don't miss the sweat mustache I would get every time I went outside during the summer. Simplicity 2162 A. Slip over ease and its fun to mix multiple fabrics on this one. Love your ruffle apron! oh, i love aprons! you can never have enough. 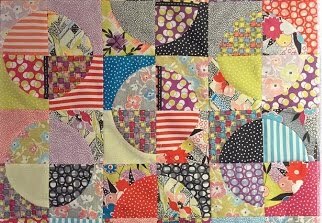 the postage stamp quilt is looking so pretty. =) such sweet little squares in those nice colors. Your entire blog post was eye candy for me!! My favorite apron is the only one I own and was made by my eldest sister. It is reversible and on one side it is classy with Olio olive oil graphics in my favorite colors (gold, fern, and maroon), the other side has Maxine cartoons and is a hoot!!! The apron itself is in a classic style and simple design: one piece with ties for around the neck and ties for the waist. 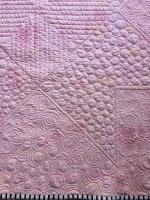 LOVE the vintage baby stamp quilt! My perfect apron is like the second one. No pockets. No frills. I love both your aprons! I usually only wear them when I bake. I have a smock style apron that ties on the side. It's my favorite because it covers so much and has two front pockets. It is heavier than cotton and I want to make a ruffle apron because they are so darn cute. Would love to add that fabric to my small stash of LCS fabric and whip up that ruffle pattern. Wow...so many lovely things to look at! Aprons are definitely an underrated necessity! I think the ruffled one is adorable! This would be perfect to wear when hosting a dinner party (or sitting around take-out)! Great projects you've been busy with. I too seek the perfect apron, I'd pass it on, I'm big busted gal and all of the them make me look like a butcher and I'm not! 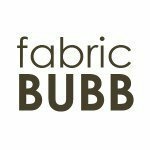 I'd give it another try with this lovely fabric for sure, even link up with a photo! I made a smock-type apron that ties on the side too. It was a little thank-you gift for a friend. I tried it on before I gifted it...and loved it. Yes it covers a lot and had a divided pocket across the entire front.. Looks like I will have to make one for myself too! That's a lot of finishes!!!! Well done! thanks for linking up to TGIFF :) good luck in the OctoberQuest comp! I don't have an apron but could do with a tutorial to make one - love the ruffles. And I really like the postage stamp baby quilt. It's lovely. My favorite apron would be simple and functional! Full coverage with lots of pockets, just for fun. My favorite apron is one that covers the top and bottom front. The top is where I get my drips and splashes most of the time. 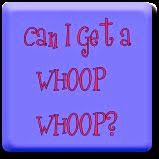 Nothing heavy or too fancy.....must be washable, big time! 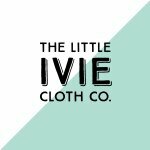 Would love to have the Lucy fabric, it's so darn cute! My perfect apron is an old one of my moms. The bib, ties, and skirt are all different pieces. It's ugly as anything, though I suppose you could call it "vintage" and then it would be cool. Anyway, I have plans to work on tweeking the pattern a little and making one for me, because it was always my favorite apron growing up.